More good news for another of our SCBWI members. 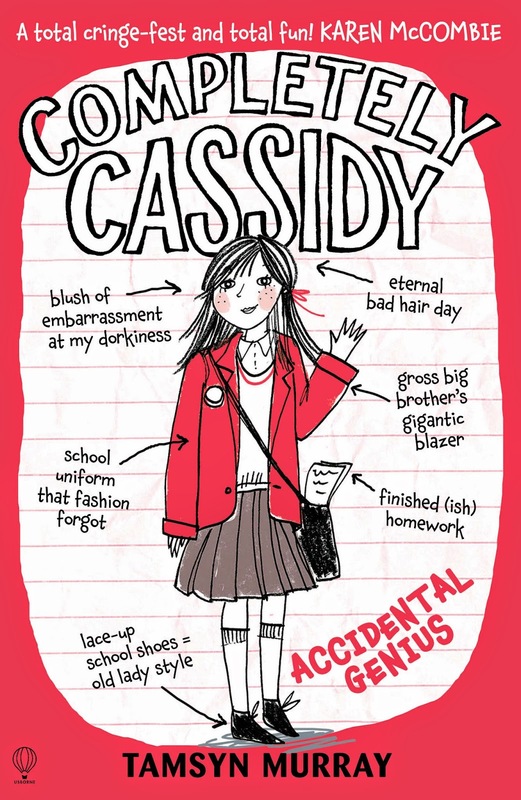 I'm delighted to announce the happy arrival of COMPLETELY CASSIDY: ACCIDENTAL GENIUS, the first book in a new series for children aged 8-12. Published by Usborne, it's the story of eleven year old Cassidy and her hilarious, cringe-along search for her special talent, the thing that will make her stand out among her chaotic muddled family. The second book, STAR REPORTER, will be out in July 2015. This is my first new book for two years and my very first middle grade so I'm even more excited to be welcoming it into the world! Cassidy is a lot of fun to write about and I hope people enjoy reading about her too.